Reverend Matthew Southall Brown Sr. will deliver the 139th Anniversary Message at Mt. 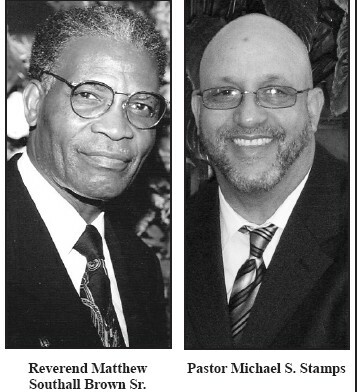 Zion Baptist Church, Sunday, November 22, 2015 at the 11:15 am where Pastor Michael S. Stamps is the minister. On Friday evening, November 20, 2015, a Pre-Anniversary Musical will be held at 7pm at Mt. Zion Baptist Church. The theme is “Growing in God’s Grace” taken from 2 Peter 3:18 “but grow in grace and knowledge of our Lord and Savior Jesus Christ.” Reverend Brown has a long history of serving Christ. He is the well-known and respected Pastor Emeritus of St. John Baptist Church in Savannah, known as the “Mighty Fortress”. He was minister there for 35 years during which time he led the congregation in building a $3.5 million edifice as well as purchasing and restoring old East Broad Street School into a facility for the elderly and handicapped. In conjunction to his pastoral work, he has been a strong community leader continues to seek justice and equity for all. Through these decades Mount Zion has been steadfast in its love of God the Father and Christ the Redeemer. From humble beginnings in a frame dwelling house on Roberts Street in the Frogtown section of Savannah, Georgia on November 22, 1876, the church has held fast to God’s unchanging hands to reach this point. This anniversary is to celebrate God’s love and mercy and grace in the life of the Church and to re-commit to living in his will. It will be a joyous time of praise and worship as the members press forward with reverence, fervor, and great expectation. The community is cordially invited to join in this celebration. Many have visited them and fellowshipped with them in past years and they urge you to join them again. They also pray that those who have yet to visit our church will take this wonderful opportunity to do so. In all things, we give God the Glory!